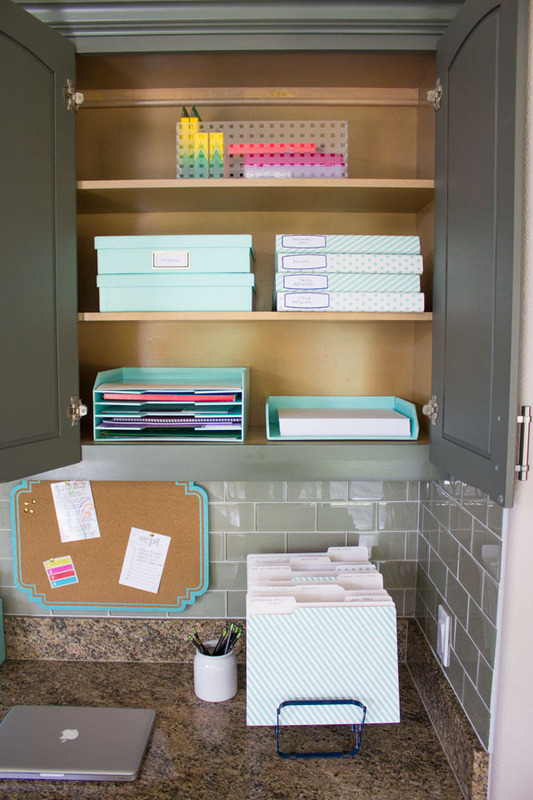 7 Simple Steps to Organizing Your Paper Clutter! 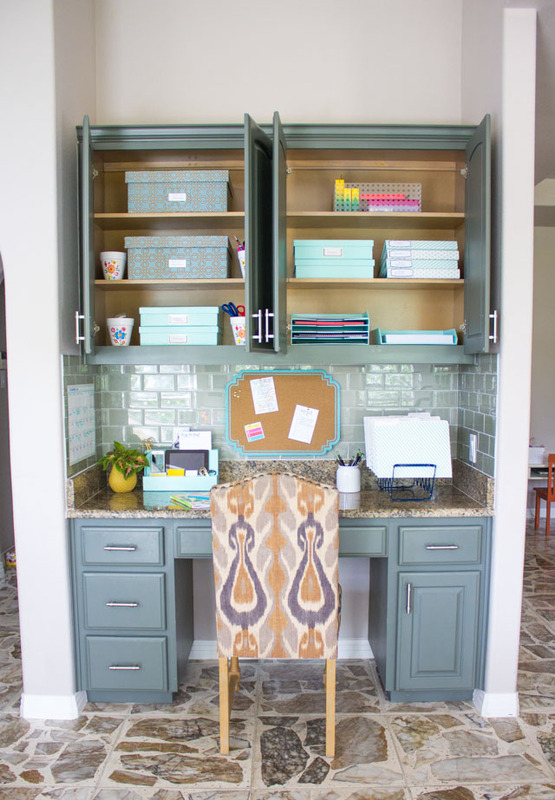 The start of school means the start of a daily flow of paperwork that gets piled up on the kitchen counter – school projects, forms to fill out, homework to do, lunch menus, the list goes on! Not to mention, so many dates of upcoming events that need to be added to the calendar before they are forgotten. Does anyone else despise this paperwork as much as I do?! 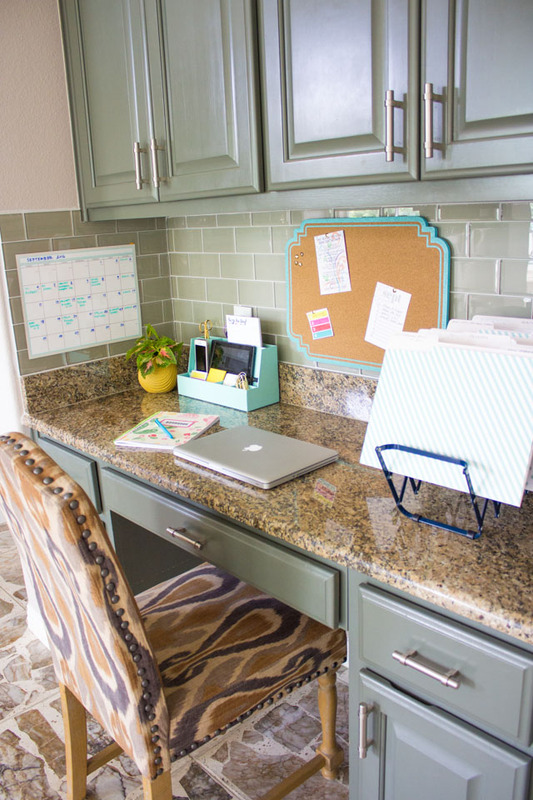 Even if you don’t have kids, the everyday mail and bills can quickly pile up in a big mountain on the kitchen counter. 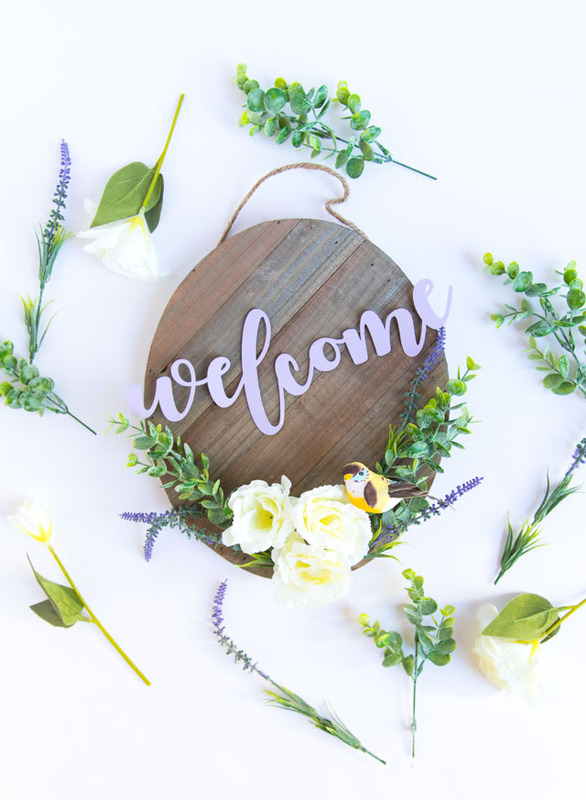 Well, it couldn’t have been better timing when the folks at Martha Stewart asked if I wanted to try some Office by Martha Stewart products for my this 12 Months of Martha post. 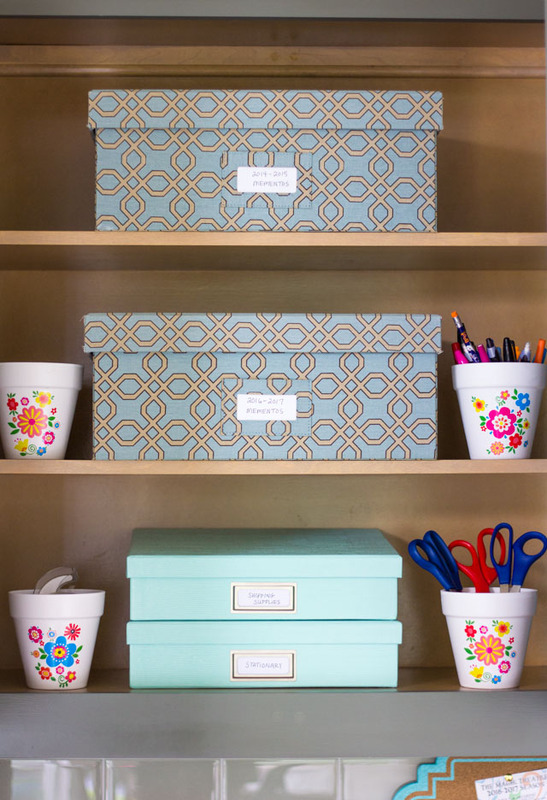 I knew if anyone could help me get organized, it would be Martha! After incorporating a number of file folders, 3 ring binders, and file boxes (all in a beautiful shade of blue), I’m feeling pretty awesome about the system I have in place to take on the rest of the year. 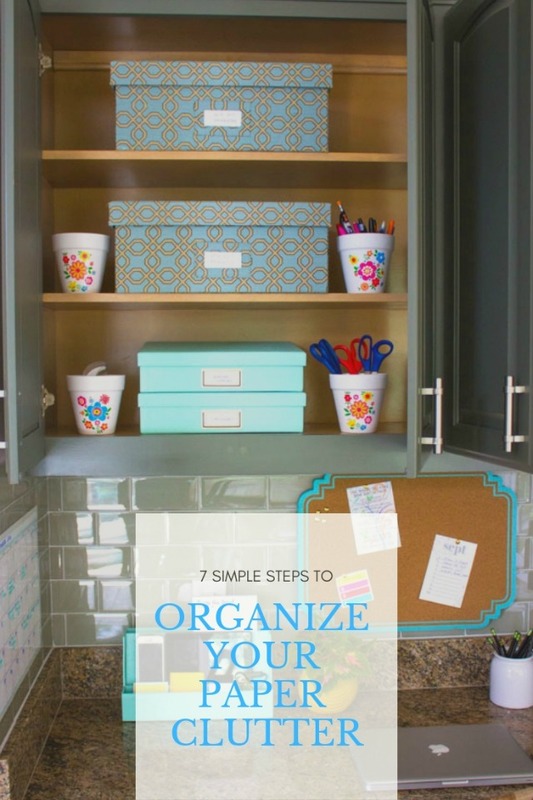 Read on to see my 7 tips for organizing paper clutter! This is what has worked for me – I hope some of these tips might come in handy for you too! 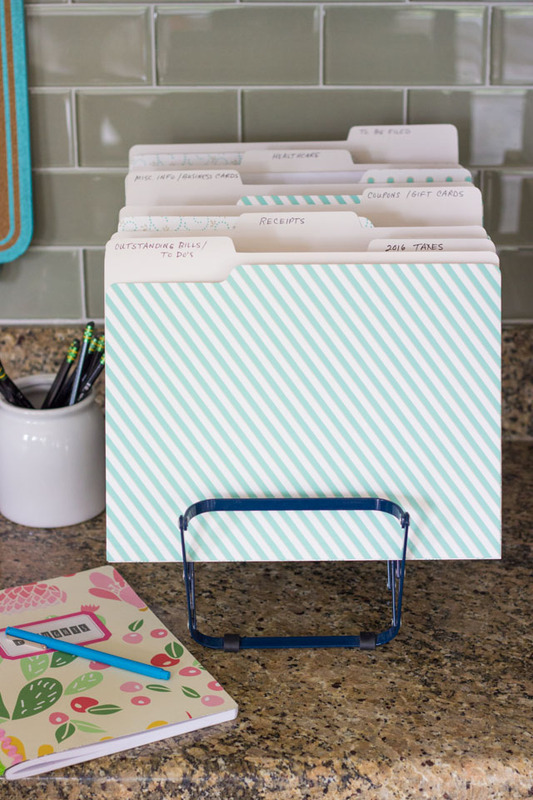 This set of file folders organized in an expandable file rack has been my most effective organizing tool, and one I’ve been able to keep up for several years. 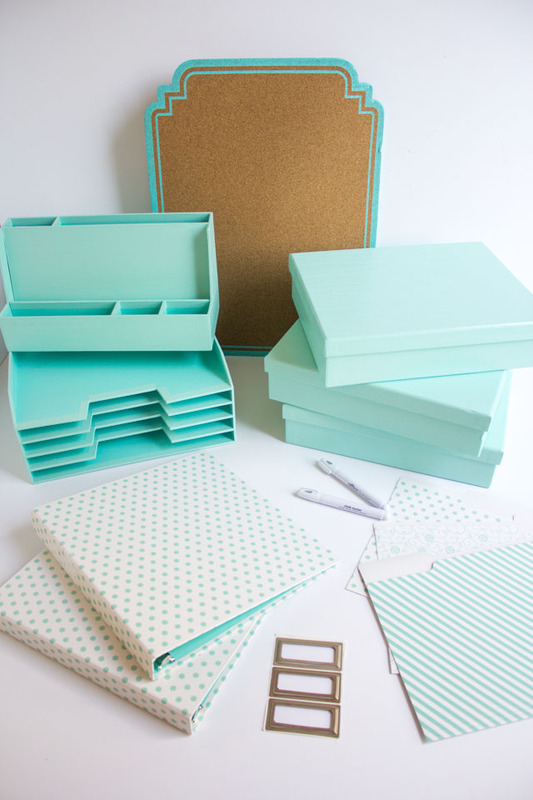 I recently refreshed my folders with this pretty patterned set and created a folder for each of my top categories. Any time I’m sorting through mail or paperwork, I can easily slot them in their respective folder. Once the folders are looking overstuffed to the point I can’t fit anything more in (about every few months), I pare them down by throwing out old receipts and papers I don’t need anymore, and filing away documents I want to keep long term. 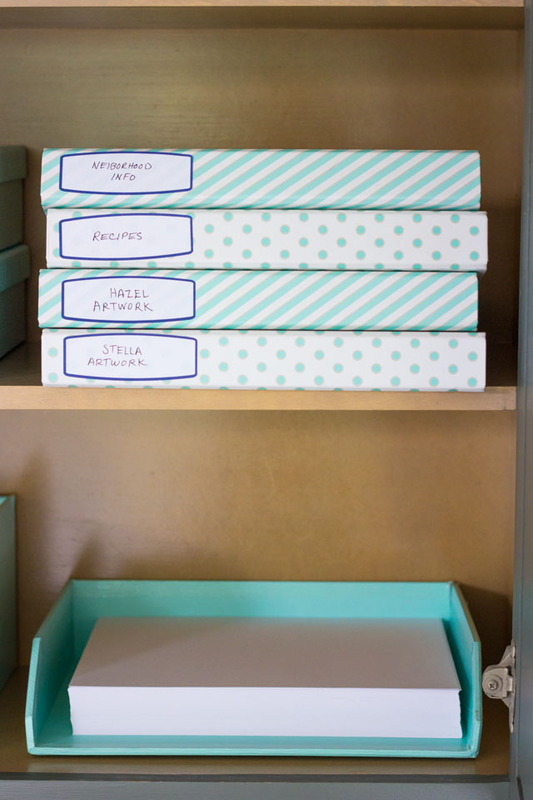 Boxes have been my go-to solution for saving mementos (kids art, birthday cards, awards, school programs, etc.). While I have big goals of eventually putting these into a nice scrapbook someday, I’ve come to the realization that it will likely never happen! So instead, I try to limit what I keep and for those things I do, I store them in a pretty box in hopes that one day I’ll want to go through them and reminisce! I can get a few years worth of stuff in one box. If I get to the point of having too many boxes, I’ll eventually have to dedicate some time to culling through it all! Every few months I move the paperwork from my “to be filed” folder on the counter to one of these boxes. For whatever reason, this system seems to work well for me! Kids artwork – Stella and Hazel are drawing and creating all the time, and I can’t bear to throw much of it away (the reaction when they find one of their creations in the recycling bins makes me feel like the worst mom in the world!). 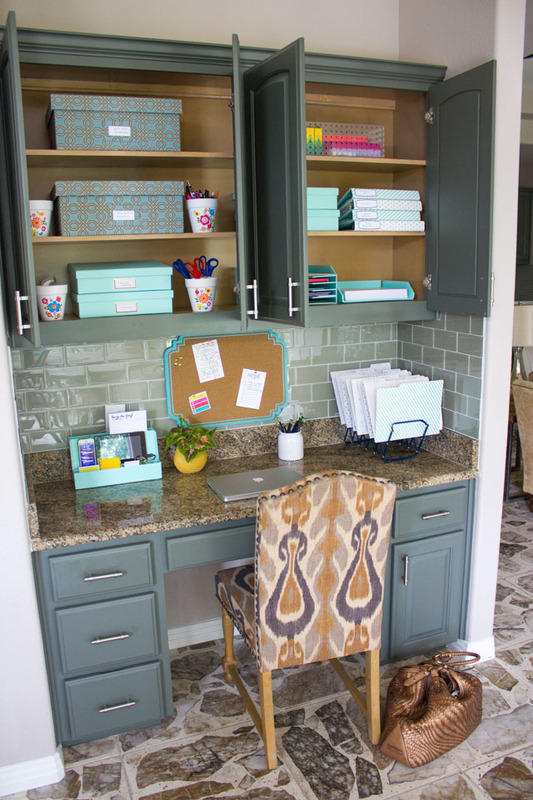 Instead, each of them has their own 3 ring binder with sheet protectors in it, and every few months, they go through their stack of drawings and choose the ones they want to keep by slotting them in their binders. I’ve found it to be a great way to get them involved, and they love looking through their past artwork and showing it off to grandparents when they visit. When I’m going through the girls’ school papers, I try to get any upcoming dates on the calendar right then, rather than adding the paper to the stack and then forgetting about it for a week (and occasionally not finding it again until the event I was supposed to remember had already passed!). 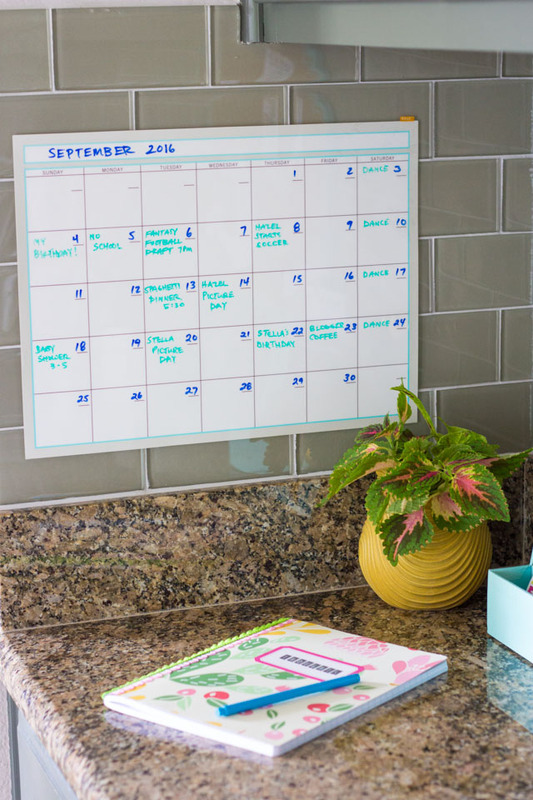 I like having a calendar right at my desk, like this Martha Stewart dry erase calendar. I always need small pieces of paper to jot down a reminder or a to-do list. 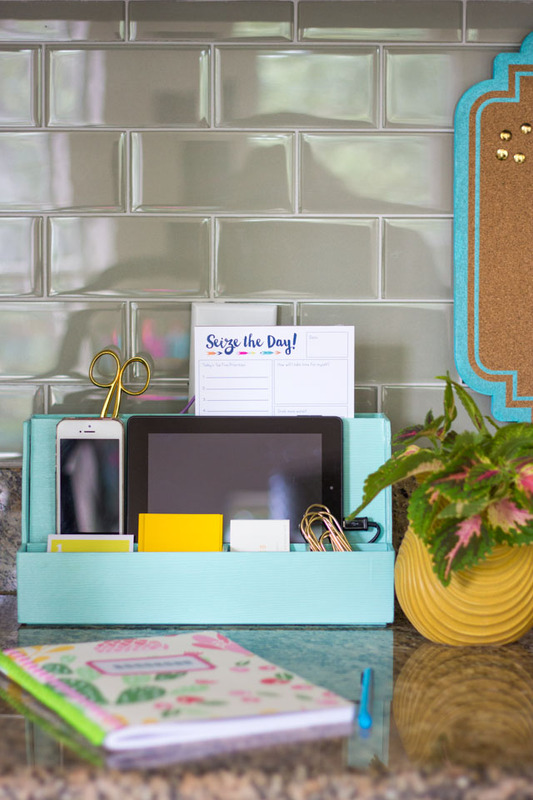 This tech organizer from Martha Stewart not only keeps all your devices organized, it also has room for a few small notepads and post-it notes. 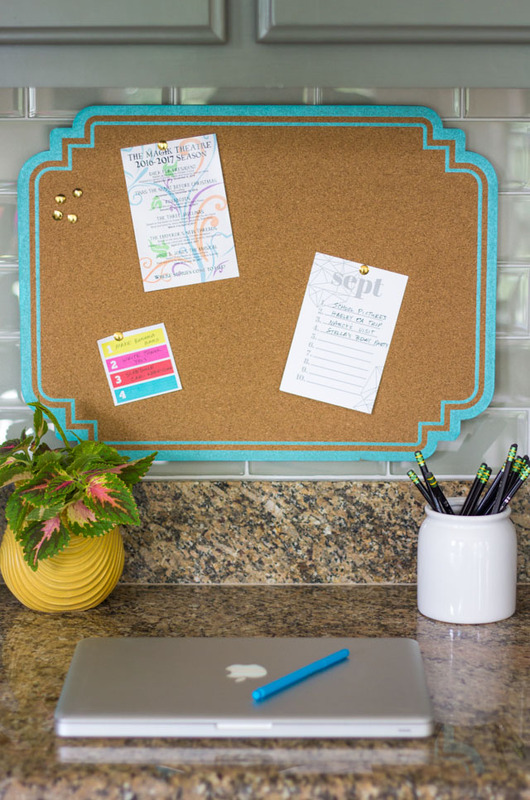 This Seize the Day notepad, from Annie Taylor Design is another personal favorite way to stay organized! 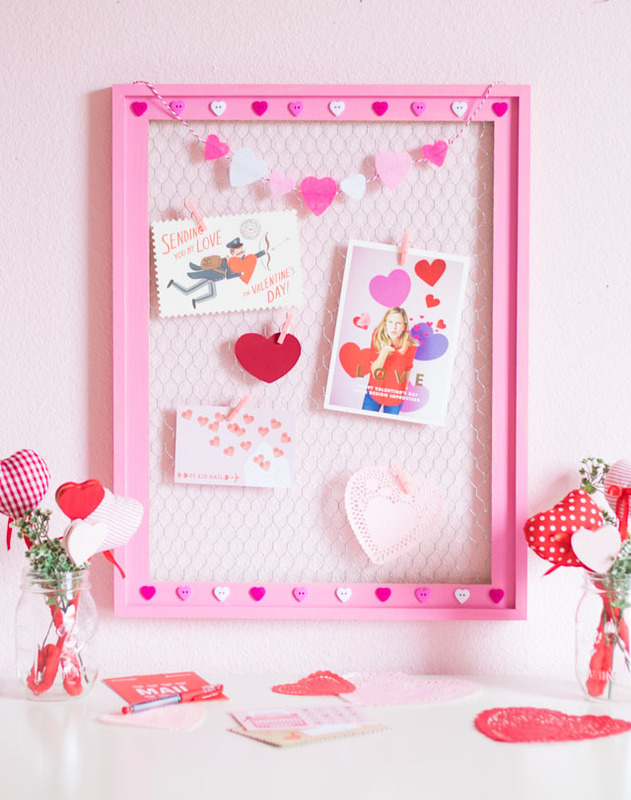 To keep all my post-it note reminders and important to do’s from cluttering my desk space, I keep them on this pretty Martha Stewart message board. That way they are right in front of me when I’m working at the desk and can’t be ignored! 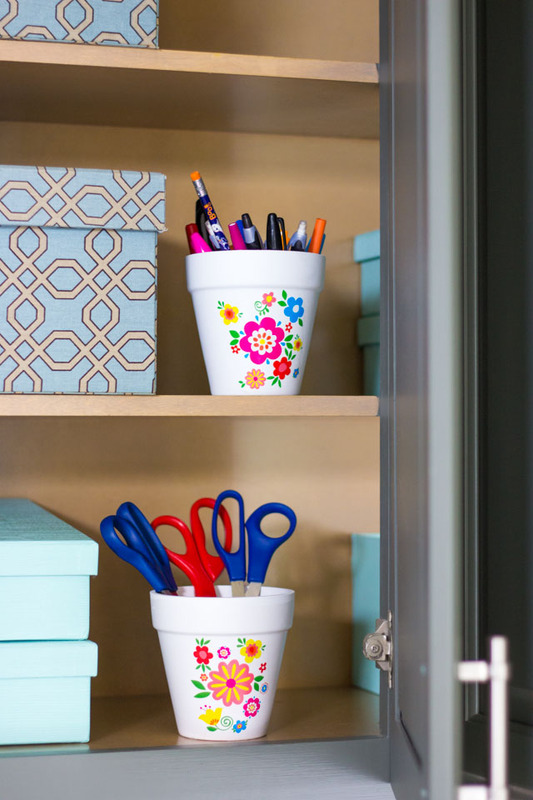 Once you’ve got the paper under control, you can tackle the rest of your office supplies. 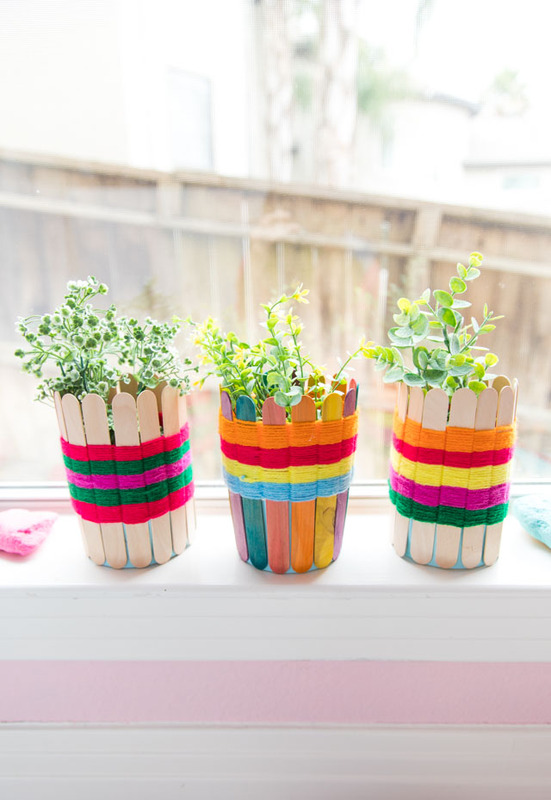 😉 I rounded up my scissors, pens, pencils, and tape in these cute little flower pots I had gotten from the Dollar Tree. 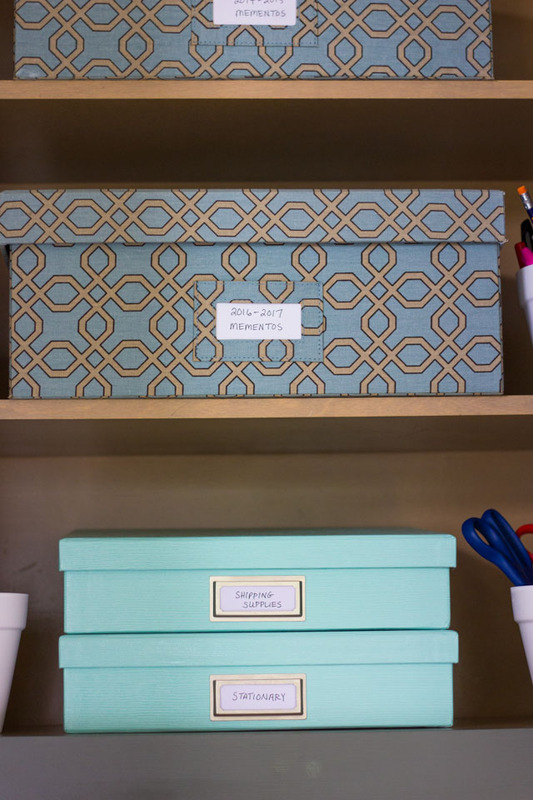 There you go, those are the organizing tricks that work for me when it comes to reigning in paper clutter. I hope you’ve found a couple that work within your own system at home! 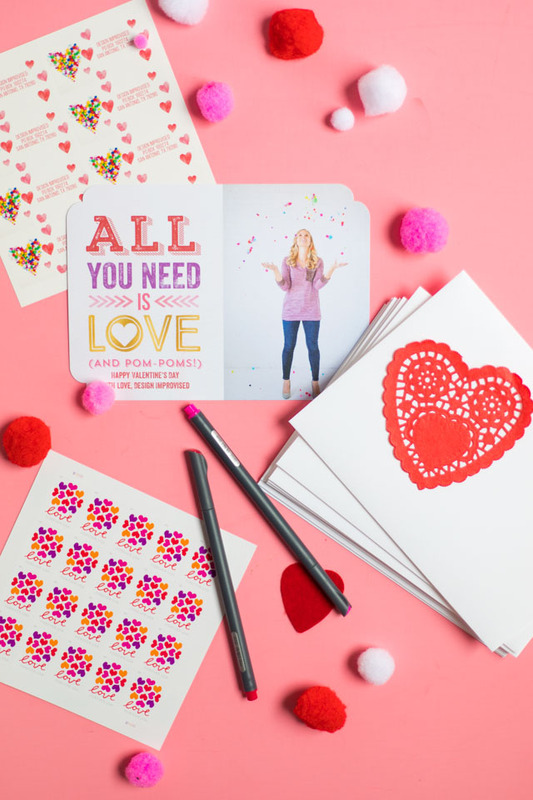 This post is sponsored by Martha Stewart Omnimedia as part of the 12 Months of Martha program.